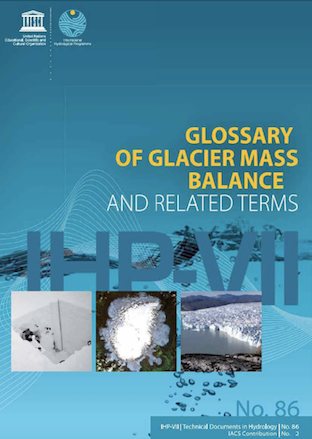 The main goals are a) to update and enrich the GlaThiDa global ice thickness data base, b) to perform an intercomparison of existing models that derive ice thickness distributions of individual glaciers, and c) to model the ice thickness distribution of all glaciers of the Randolph Glacier Inventory (RGI). Download the 2014 proposal to IACS here, which details the objectives and work plan of the WG. 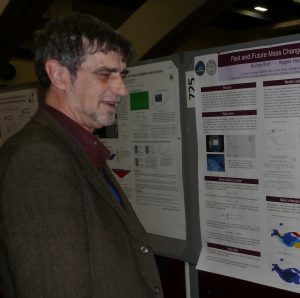 Graham at the AGU conference in 2011. Allison, I., C. Fierz, R. Hock, A. Macintosh, G. Kaser, and S. U. Nussbaumer, 2019. The International Association of Cryospheric Sciences: past, present and future. Hist. History of Geo-and Space Sciences, 9, 1–11. The IACS Bureau may also approve, from time to time, joint activities with other related organizations. The justification for such activities should be similar to that for IACS Working or Standing Groups. See Terms of References Terms of References (ToR) for details on IACS Partnerships. Posted in PartnershipsLeave a Comment on What are Partnerships? IACS Assemblies occur every two years: at the IUGG General Assemblies which take place every 4 years and include all 8 IUGG Associations, and once in between typically jointly with 1-2 other IUGG Associations. The overarching aim of the debris-covered glaciers Working Group is to advance our understanding of how debris impacts glacier response to climate at the local, regional, and global scale. This is a necessary precursor to accurately representing debris-covered glaciers in models of regional runoff and sea-level change projections. Download the 2018 proposal to IACS here. What is the ECS Award? The IACS Early Career Scientist (ECS) Prize is a bi-annual cash prize of € 1000 awarded to two early career scientists who have published the best scientific papers on a cryospheric subject as assessed by an independent evaluation committee. The objective of the prize is to recognize excellence in cryospheric science by honouring and promoting two ECS scientists, and to draw attention to the work of IACS. Awardees must be IACS members by the time the award is received. Posted in Early Career Prize, UncategorizedLeave a Comment on What is the ECS Award?